Home » The Hub » Marketing » Airbit vs Beatstars – Where Should I Sell My Beats? 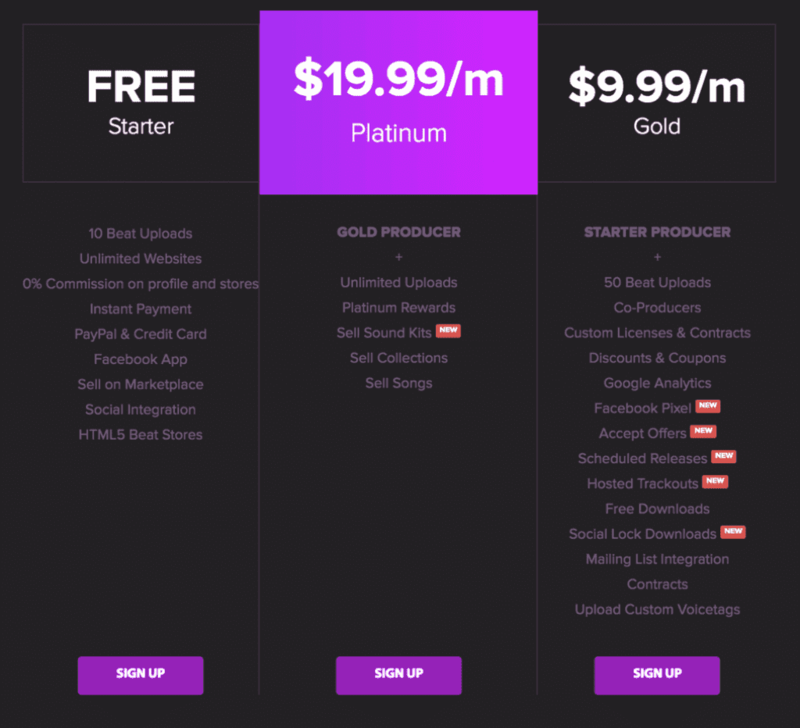 Deciding where you should sell your beats seems to have become quite a challenge in 2018, with options like Airbit and Beatstars available deciding can be difficult, but to really know you have to be able to look at the two platforms side by side and compare their features as well as their pricing structures, And from there make an educated decision based on your own subjectivity. 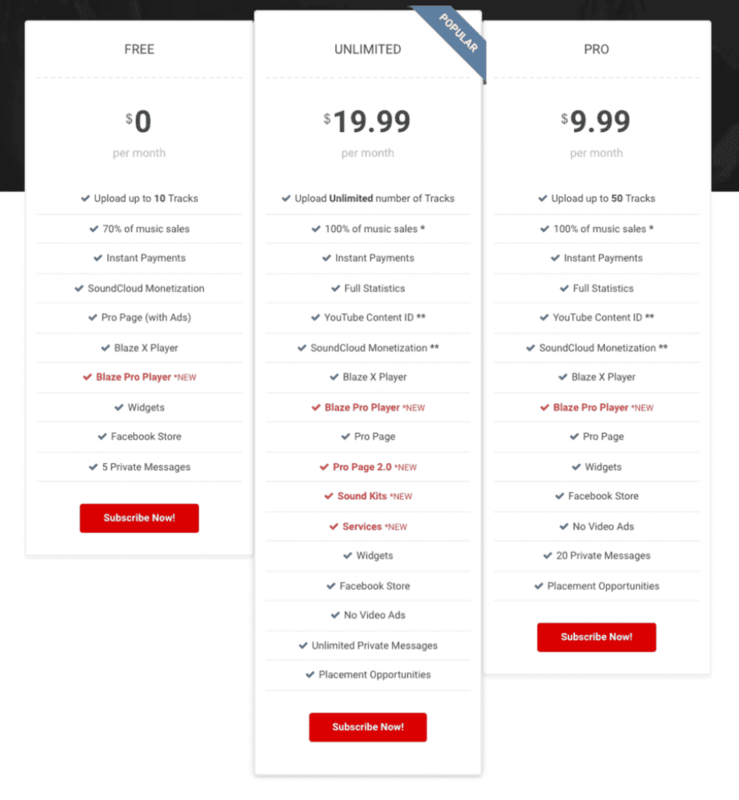 As you’ll see both platforms do have very similar features, With the exception of features such as Websites vs Pro Pages and Soundcloud Monetization, If I were to choose between either of them Arbit would come out on top, As remember it’s not all about features but more so the audience of potential buyers that come with using the platform. On all three account levels that Airbit offers you keep 100% of the sales you generate, Whereas with Beatstars you can only make 100% when you have a paid account, And if you only use a free account they will take 30% off the top of everything you make. Beatstars has a unique feature that Airbit lacks, Soundcloud and Youtube Monetization, which allows you to earn additional income through monetizing plays via both platforms. Do a lot of Collaborations? Both platforms offer a revenue sharing feature so that you can share the revenue you make from selling your collaborative project leases with co-producers. When your building a brand as a Music Producer staying in regular contact with your customers is essential for your growth as a business, and one of the most effective ways to do exactly that is through email marketing. But if you go that route, ensuring that you have the opt-in becomes all the more vital, because as of May 25th if you’re not GDPR compliant sweet mother law will come beating down on your arse hard, but that’s something I’m not going to get into here. So to run a beat selling business you need to sell beats right? Luckily both platforms offer marketplaces to help you do exactly that, and running paid promotions on both either platform couldn’t be any more different, Beatstars uses a credit system starting from $25, Whereas Airbit allows you to control a budget but limits you to running your ad for a minimum of a week. Is there anything I missed? put it in the comments!